A new National Optic Fibre Backbone Project was completed by Chinese company Huawei in April 2018, promising to deliver faster internet services (see Restrictions on Connectivity). There were no reports of citizens arrested, prosecuted, or attacked for their online activities during this report’s coverage period, though a climate of intimidation persists for media professionals in general (see Violations of User Rights). Internet freedom in Malawi improved during the reporting period as incidents of censorship decreased as well as arrests and attacks for online activities. No websites were blocked in the country during the coverage period, and users have increasingly turned to online platforms to express critical viewpoints. There were no blatant arrests or prosecutions for online activities during this report’s coverage period compared to past years. Despite the lack of internet freedom violations, Malawi’s President Arthur Peter Mutharika repeatedly warned that punitive action would be taken against online speech viewed as denigrating to others. Critics worry that the controversial Electronic Transactions and Cybersecurity Act passed in mid-2016 may be used to silence dissent, especially as the country gears up for elections in 2019. The law penalizes “offensive communication” via ICTs with penalties of fines or a maximum 12-month prison sentence, and places vague restrictions on encryption. ICTs remained prohibitively expensive for the majority of Malawians, resulting in low access rates across the country. A new National Optic Fibre Backbone Project was completed by Chinese company Huawei in April 2018, promising to deliver faster internet services. For the few users who have access, connection speeds are frustratingly slow and have decreased to an average of 1.3 Mbps in 2017 from 1.7 Mbps a year prior, compared to a global average of 7.0 Mbps, according to Akamai’s “State of the Internet” report.7Slowing speeds have coincided with rising costs due to poor infrastructure management and lack of investment. Malawi’s flagging economy over the past few years has reinforced its status as a least developed country, with soaring inflation having a negative impact on the ICT sector. Unreliable electricity and the high cost of generator power strain ICT use. Less than 10 percent of the country has access to electricity, giving Malawi one of the lowest electrification rates in the world, according to the World Bank.9 The electricity grid is concentrated in urban centers, but only 25 percent of urban households have access, compared to a mere 1 percent of rural households. In the past year, electricity blackouts frequently lasted up to 72 hours across the country, adversely affecting the delivery of internet and mobile services.10 Half of Malawi’s private sector enterprises rely on backup generators. The high cost of infrastructure development in rural areas makes companies unwilling to invest in the country’s remote regions. The country’s ICT backbone is entirely national in nature, with no regional integration yet in place. The scarcity of regional internet exchange points forces telecoms to rely on upstream service providers that are usually based outside in Europe or North America. Data that should be exchanged locally within Malawi or regionally must pass outside Africa, resulting in an unnecessary and expensive use of upstream bandwidth. The Malawi Communications Regulatory Authority (MACRA) remains the country’s sole communications regulator, established under the 2008 Communication Act to ensure reliable and affordable ICT service provision throughout Malawi. Its mandate is to regulate the entire communications sector and issue operating licenses for mobile and fixed-line phone service providers, ISPs, and cybercafés. Political connections are often necessary to obtain such licenses. Moreover, the institutional structure of MACRA is subject to political interference, with its board comprised of a chairman and six other members appointed by the president, and two ex-officio members—the secretary to the Office of the President and Cabinet and the Information Ministry secretary.19 The director general of MACRA, whose appointment is also overseen by the president, heads the authority’s management and supports the board of directors in the execution of its mandate. In the past year, online content remained uncensored, although online news was subject to government manipulation in the form of directives. Observers and critics worry that the new Electronic Transactions and Cybersecurity Act passed in July 2016 may be used to block content in the future, among other internet freedom restrictions. In particular, Article 28 allows for restrictions on online communications to “protect public order and national security,” a broad provision open for abuse.21 The same article would also “facilitate technical restriction to conditional access to online communication,” an unclear clause that could be interpreted to enable network shutdowns or blocks on social media platforms (see Legal Environment for more details). Content removal tactics in Malawi are largely informal according to analysts who have received anonymous reports about how the authorities regularly direct editors of online news websites to take down critical content. However, the practice is underreported and the extent of content affected is unknown. No incidents of content removal were reported during the coverage period. Online news is subject to government manipulation in the form of directives. According to anonymous interviews, several journalists have complained that their articles are sometimes never published online or in print because their editors received directives from officials to refrain from publishing about certain topics. Malawi’s online media landscape does not reflect a wide diversity of viewpoints, primarily due to the low level of internet use. Economic conditions make it difficult for journalists and media groups to launch online outlets. The high cost of using the .mw domain – currently administered by the Malawi SNDP on behalf of the Malawian government – is also an obstacle to publishing locally-produced content. According to an official at the SDNP, the cost of using the .mw domain is US$100 per month for two months after registration and US$50 per month thereafter. Furthermore, online advertising is low due to a limited understanding of the internet among businesses, which are hesitant to advertise with independent media outlets. Nonetheless, Malawi’s blogosphere has continued to grow, with Malawian journalists frequently winning the Media Institute of Southern Africa’s annual blogging award. The most influential ICT tool in Malawi remains the mobile phone. Messaging platforms such as WhatsApp are regularly used to organize campaigns and demonstrations, garner political support, and conduct opinion polls. Digital activism for political or social causes occurs occasionally. There were no reports of citizens arrested, prosecuted, or attacked for their online activities during this report’s coverage period, though a climate of intimidation persists for media professionals in general. Malawi has strong constitutional guarantees for freedom of the press and expression; however, there are several laws that restrict these freedoms in practice. The 1967 Protected Flag, Emblems and Names Act and the 1947 Printed Publications Act both restrict the media from reporting on the president, among other limitations.23 Libel is punishable with up to two years imprisonment if prosecuted as a criminal charge, although most libel cases are processed as civil offences or settled out of court. Malawi’s judiciary is generally regarded as independent. In an effort to provide a regulatory framework for ICTs and address cybercrime, parliament passed the controversial Electronic Transactions and Cybersecurity Act in July 2016, which came into force on June 1, 2017.24 Critics have highlighted its potential to limit internet freedom since it was first drafted in October 2013 and worry that the problematic provisions of the law will be used to silence dissent ahead of elections in 2019. Article 24 allows for restrictions on online communications to “protect public order and national security,” a broad provision open for abuse.25 The same article would also “facilitate technical restriction to conditional access to online communication,” an unclear clause that could be interpreted to enable network shutdowns or blocks on social media platforms.26 Article 87 penalizes “offensive communication” via ICTs that disturbs the privacy rights of any person with fines or a maximum 12-month prison sentence – a provision that public officials could exploit to punish critical speech by online journalists or internet users.27 Article 52 of new law also places vague restrictions on encryption (see Surveillance, Privacy, and Anonymity). There were no reports of citizens arrested or prosecuted for their online activities during this report’s coverage period. Service providers are required by law to hand over user information when presented with a court-issued warrant, though such legal safeguards have failed to prevent abuse in the past, particularly under the past presidents. There were no technical attacks against independent news websites, activists, or ordinary users reported during the period under review. There has been no evidence of state sponsoring or condoning cyber-attacks on critics. Neither has there been instances where critical national infrastructure or government agencies have been attacked to affect millions of people. 1 ITU, “Key 2005-2017 ICT data,” http://bit.ly/1cblxxY. 12 Author interview with IT engineer for a local mobile phone company on March 25, 2015. 16 “Fibre optic backbone yielding fruits – MTL,” Mkali Journalist (blog), June 11, 2013, http://bit.ly/1jeMOpm. 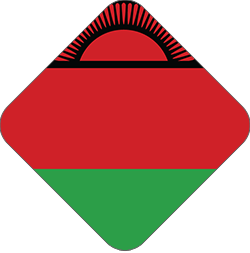 27 Malawi Government Act, No. 33 of 2016, November 4, 2016. , http://www.macra.org.mw/wp-content/uploads/2014/07/E-Transactions-Act-2016.pdf. 32 Gregory Gondwe, “Spy Machine’ brings telecoms fears,” Biztech Africa, November 14, 2011, http://bit.ly/1Mhgs3V.